The John B Blog: The John B Remix of Pendulum "Witchcraft" is OUT NOW! The John B Remix of Pendulum "Witchcraft" is OUT NOW! Thought you folks might be interested - so here's the info!! 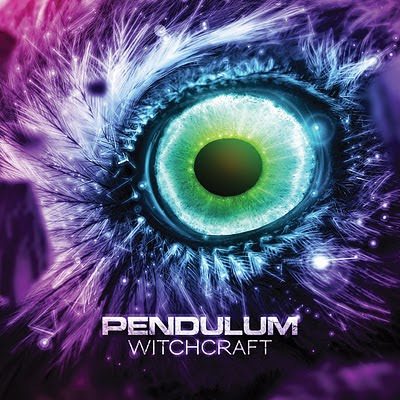 Already one of the defining bands of 2010, Pendulum’s summer profile will receive another huge boost with the release of the new single ‘Witchcraft’ on July 19th on Earstorm / Warner Bros. Records. The single is taken from the band’s recently released third album ‘Immersion’ which went straight to the top of the charts. Commencing with a stripped back Pendulum sound featuring Rob Swire’s vocals set to a simple background of guitar and piano, ‘Witchcraft’ bursts into life with energising drum ‘n’ bass beats and a crunching riff." Righteous mate! One more badazz choon to add to my John B Library!!!!! !